The Colombian conflict is the longest-running armed conflict in the Western Hemisphere, having claimed 220,000 lives and displaced six million others over a period of 53 years. Today, the mood in Colombia is bittersweet: people are excited about the end of the conflict but also skeptical that peace is truly at hand. While many are optimistic about the historic peace agreement signed last year between the government and the country’s largest guerrilla group, the Fuerzas Armadas Revolucionarias de Colombia (FARC), older Colombians remember previous unsuccessful peace negotiations with the FARC, as well as with other armed groups, such as the Ejército de Liberación Nacional (ELN), the Movimiento 19 de Abril (M-19), and the Autodefensas Unidas de Colombia (AUC). As the FARC nears full demobilization, the nation of Colombia—and indeed the global community—is confronted with the question of whether 7,000 guerrillas will be able to reintegrate peacefully into civil society. Strangers to Peace is a multi-dimensional project comprising a 90-minute documentary (directed by Noah DeBonis), an academic article, and an educational website. The project aims to capture the stories of current and former FARC combatants in order to investigate the barriers to successful reintegration and share these findings with both policy-makers and the public at large, in order to promote reconciliation and help spread visions of a peaceful world. While there have been many actors in the Colombian conflict, one of the major forces has been the FARC. Established in 1964 as the military wing of the communist party, the FARC is a leftist guerrilla organization fighting against the Colombian government. Indeed, Colombia suffers from one of the world’s greatest wealth inequalities. But although the FARC purports to fight against inequality, it is far from being a peaceful organization, having engaged in drug trafficking, the recruitment of child soldiers, and kidnapping among other terror tactics. Negotiations between the Colombian government and the FARC began in 2012. A provisional version of the peace agreement was first signed by Timochenko (the leader of the FARC) and President Santos in October of 2016. But later that month, the government held a plebiscite in which the peace treaty was narrowly rejected by the Colombian people, with 50.2 percent voting against it. The Colombian congress nevertheless ratified it, and, in November of 2016, the peace treaty was finally signed, thereby officially ending the war. In accordance with the terms of the treaty, Colombia has implemented a model of ‘DDR’ (Disarmament, Demobilization, and Reintegration), following the example of countries such as South Africa. The ‘Disarmament’ phase is complete and ‘Demobilization’ is nearly complete, leaving only ‘Reintegration’ left to be fulfilled. This final step in the process is being handled (at least in part) by the Agencia para la Reincorporación y la Normalización (ARN), an agency run by the Colombian government with input from FARC. By helping FARC guerrillas find employment and otherwise rejoin civil society, the ARN aims to provide former combatants with alternatives to violence. But with about half of the Colombian population having voted ‘no’ to the peace treaty, the reintegration of 7,000 guerilla fighters will be no easy task. Strangers to Peace proposes to answer the following research question: what are the challenges to the reintegration of FARC combatants and to achieving lasting peace in Colombia? The project is thus a systematic study of the ‘R’ in DDR, exploring the barriers to reintegration and reconciliation. The project will promote knowledge of the reintegration process by investigating a body of rich ethnographic material collected from filming current and former FARC combatants and presenting these findings in a 90-minute documentary film. The film captures the lives of these ex-combatants, who predominantly belong to marginalized and vulnerable communities across Colombia, including women, indigenous people, and members of the LGBT community, all of whom face additional difficulties in the process of reintegration. Thus the film stresses the diversity, humanity, and dignity of the various individuals who have joined the FARC. Although the film includes stories of both men and women, the stories of female guerrillas are of particular value, since women represent an often overlooked group in conflict resolution literature, despite facing unique challenges when reintegrating into society. It is estimated that between 30 and 40 percent of the FARC, including many of its commanders, are women (Alpert 2016). But despite this surprisingly high percentage, when women are considered in discussions of conflict—if at all—it is usually merely as victims of violence (Restrepo 2016). This simplified treatment overlooks one of the truly unique aspects of the conflict: the agency of women. Many female combatants, feel empowered as guerrilleras. Although many women were forcibly recruited into the FARC, often as children, others joined ‘voluntarily’, seeking freedom from poverty, domestic abuse, or the societal expectations of being a subservient housewife. When they reintegrate into Colombian society, however, their involvement in the guerilla organization means that they are often reviled for having transgressed their traditional gender roles as mothers and homemakers. Despite being the foremost framework for implementing peace strategies in the wake of conflict phenomena, the UN’s model of DDR failed to take gender into account in its initial conceptualization (UN 2010). Perhaps unsurprisingly, female ex-combatants in Colombia are expected to (re)learn femininity and are often steered toward careers considered suitable for their gender, discounting or ignoring completely their experience as combatants, trainers, medics, mechanics, or radio operators. The film show the struggle of one ex-combatant who faces the double challenge of being both a woman and indigenous. While women remain underrepresented, there is even less research on the experiences of the LGBT community in conflicts. DDR programs are indeed often heteronormative, and being both an ex-combatant and gay or transgender means coping with two stigmas simultaneously (McEnvoy 2015). Strangers to Peace captures the story of one transgender combatant, conveying her experiences to a popular audience for the first time. Furthermore, the study of these marginalized and vulnerable populations provides valuable insights into the causes of conflict, since social inequalities often lie at the core of why these disenfranchised people took up arms in the first place. 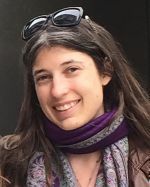 While the film and educational website seek to educate the general public, the accompanying academic article draws from material from the film to contribute to formal scholarship on peace and conflict studies—namely, by advancing scholarly understanding of the phenomenon of reintegration and its challenges. The project’s primary objective is to educate the public, policymakers, and academics about the Colombian conflict from an ethnographic perspective, thereby promoting knowledge on how the conditions of peace can be advanced and encouraging the adoption of inclusive peace strategies. The documentary Strangers to Peace illustrates the forms that the reintegration process can take in post-conflict Colombia. The film tracks ex-combatants—their stories contextualized by interviews with victims, scholars, and politicians—thereby providing first-hand accounts of the conflict and of the immense national project of reconciliation. 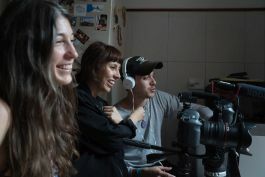 At the heart of the documentary are the experiences and perspectives of three characters whose stories collectively advance the project’s objectives. The first character (26 years old, 10 years in the FARC) grew up in an impoverished southern Bogotá slum and was recruited into the FARC when he was just 14. He himself in turn recruited other youths, and fought in the jungle before disavowing the FARC to pursue his dream of becoming a teacher. The second character (50 years old, 30 years in the FARC) worked as a farmer until a dispute with the landowners pushed her to join the guerrilla fighters. Born male, but identifying as a woman, she was forced to hide her transgender identity, fearing death, until she escaped the FARC to start a new life in Bogotá. The third character (20 years old, 8 years in the FARC) is an indigenous woman from the Amazon, who joined the FARC to escape her abusive mother. Now having escaped from the guerrillas as well, she lives with her boyfriend in Bucaramanga, worlds away from the indigenous community where she grew up. She longs to be reunited with her family in the Amazon, but does not even know whether they are still alive. In addition to the stories of these three former guerillas, the film also details the lives of those who are only now disarming—specifically, the members of one demobilization camp in Colombia. Approximately 200 guerrillas have called this camp home since they began arriving in late 2016. The successful reintegration of the guerrillas of the FARC is essential to any lasting peace: if unsuccessful, the cycle of violence and war will likely continue. This project furthers the goals and mission of IPRAF by offering a bottom-up look into the lives and attitudes of the FARC in contrast to documentaries that take a macro-view of the conflict. This enables the film to develop a social, historical, and ethical argument that builds on existing scholarship from the humanities and social sciences in order to deepen the global understanding not only of the conflict in Colombia, but of the reintegration of ex-combatants into any post-conflict society. The process of reintegration of ex-combatants of an armed conflict is vital to advancing the conditions of peace. Only by learning about the challenges faced by individuals on a daily basis when attempting to reintegrate can we improve DDR programs. Thus the film intends to humanize the vulnerable and marginalized people who joined the FARC and, in so doing, to promote peace by nonviolent means. Achieving lasting peace in Colombia will require what Lederach (2010) calls the ‘moral imagination for peacebuilding’, the capacity of citizens to imagine constructive processes that transcend destructive patterns ingrained in the national psyche. The project will be disseminated by means of film screenings at film festivals and in academic settings in the US and Colombia, an academic article submitted to scholarly journals, a museum exhibition, and an educational website. The University of Miami has agreed to exhibit the film at the Cosford Cinema. Since South Florida has one of the largest Colombian populations in the world and since many of these Colombian-Americans fled the violence in the 1980s, this is a critical audience to which the vision of peace must be spread. In addition, the film team has been discussing screenings with O Cinema Wynwood, Bakehouse Art Complex, and Coral Gables Art Cinema in Miami and will enter the film into the Miami International Film Festival. We will submit to 15 film festivals in the US, Europe, and South America. In Colombia, the film will be screened at the Centro de Memoria, Universidad Nacional, Universidad Libre, and Universidad Central. The academic article will be submitted to a relevant peer-reviewed journal, such as the Journal of Conflict Resolution, the Journal of Peace Studies, or Human Organization (the journal of the Society for Applied Anthropology). The educational website will contain excerpts of pertinent research, archival images and videos, production photos from the film, and video interviews with former combatants. Finally, upon completion of the film, the website will also serve as an archive for longer, edited portions of interviews with experts and ex-combatants, thereby allowing for deeper, sustained engagement with scholarship and providing free public access to this peace-promoting endeavor. Alpert, Megan. 2016. “To Be a Guerrilla, and a Woman, in Colombia,” The Atlantic, September, 2016. Bagley, Bruce. 2001. “Drug Trafficking, Political Violence and U.S. Policy in Colombia in the 1990s,” Unpublished manuscript. Miami: The University of Miami. Lederach, John Paul. 2010. The Moral Imagination: The Art and Soul of Building Peace. Oxford: Oxford University Press. McEnvoy, Sandra. 2015. “Queering Security Studies in Northern Ireland: Problem, Practice and Practitioner,” in Sexualities in World Politics: How LGBTQ Claims Shape International Relations, ed. Manuela Lavinas Picq et al. London: Routledge. Restrepo, Elvira. 2016. “Leaders Against All Odds: Colombian Women as Victims of Conflict,” Palgrave Communications 2:16014 (doi:10.1057/palcomms.2016.14). Taussig, Michael. 1984. “Culture of Terror – Space of Death: Roger Casement’s Putumayo Report and the Explanation of Torture,” Comparative Studies in Society and History 26: 467–497. Theidon, Kimberly. 2009. “Reconstructing Masculinities: The Disarmament, Demobilization, and Reintegration of Former Combatants in Colombia,” Human Rights Quarterly 31(1): 1–34. United Nations. 2010. Second Generation Disarmament, Demobilization, and Reintegration (DDR) Practices in Peace Operations New York. World Bank. 2016. Poverty and Shared Prosperity 2016: Taking on Inequality. Washington, DC: World Bank (doi: 10.1596/978-1-4648-0958-3).